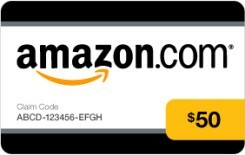 -- One lucky Frugal Freebies reader will win a $50 gift certificate to spend on anything on Amazon.com. What would you spend your $50 Amazon gift certificate on? 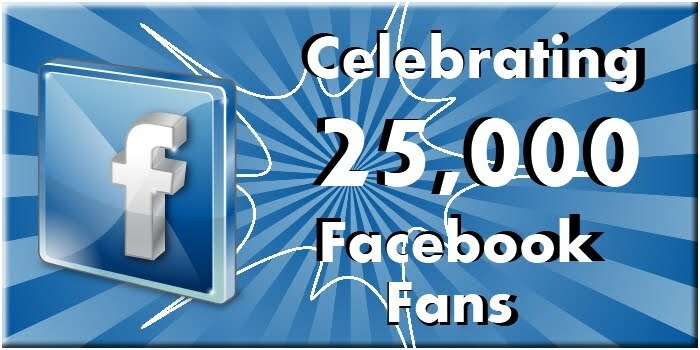 Frugal-Freebies.com 25,000 Facebook Fans Celebration, with a $50 Amazon.com gift certificate giveaway! Enter by Nov 21st! This giveaway is open to everyone - worldwide! Announcing the winner! There were 650 entries, with one (1) winner. The winning number is #270 - Amanda. I follow Frugal Freebies on Facebook! I follow Catherine (Frugal Freebies) on Twitter @mommy2max08! I found out about this freebie on my FB, since I follow Frugal Freebies! :) This would be GREAT to use towards presents for my 4 kids!! I added Frugal Freebies to my circle on Google +!! Thank you for all the great freebies! I am a follower on Twitter with the username Lyvie. I am following in a circle on Google+ with the username Olivia Merifield. I am following Frugal Freebies on Networked blogs as Olivia Merifield. Follow on FaceBook & Twitter! I love Frugal Freebies! great job!! I found out about this giveaway from following you on Facebook! Love it!! i am following you guys on facebook and google+ and networked blogs!!! I found out about the contest through your posts on facebook!! I also follow you guys via email if that counts!!! The greatest freebies, free samples, ways to earn free money, and money-saving coupons! We have a brand new list of the best free stuff every day! Plus Swag Bucks, Zoombucks and iRazoo Code updates and even great giveaways occasionally! I found this giveaway on Frugal Freebies facebook site. 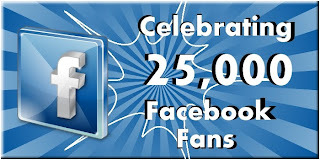 http://Frugal-Freebies.com 25,000 Facebook Fans Celebration, with a $50 http://Amazon.com gift certificate giveaway! Enter by Nov 21st! following on Twitter. Thanks again! following on networked blogs. Woot! found out about the giveaway on facebook. I follow you on fb! This would be a fun way to spoil the grand-girls. Hello again! I found this giveaway on your fb page. Thanks for all the great deals this year! I love this site you always have great freebies. I follow you on Facebook! Thank you for all you do! I like Frugal Freebies on FaceBook. I found this giveaway on your Facebook page. Follow you on facebook and twitter. Let's a tweet about contest. And I heard about this giveaway on face book. I love Frugal Freebies for all the great deals they find me!!!!!! New to Frugal Freebies and LOVE it! I follow Frugal Freebies on Facebook and I love Frugal Freebies for all the great deals they find me!! No love for RSS feed subsribers? I follow you on Facebook!! Ashley.m.sylvester@gmail.com! Been following you on facebook for 3 years!! thanks for the opportunity, good luck to all!! I subscribe to your feed! Thanks so much for the fantastic giveaway! I follow you on Network Blogs! Thanks so much for the fantastic giveaway! I am now following Frugal Freebies on Facebook. I found out about this contest on your Facebook page!! I have posted this contest on my Facebook Profile page. I follow Frugal Freebies on FaceBook. I found out about this contest on Facebook! Followed you on Google, and Liked you on Facebook! Found out about this from Facebook. I found out about this giveaway on Facebook! I found out about this giveaway via your facebook page. I liked you on facebook (Ellen Freitas-Cunningham). Thanks for the chance. I found out about this giveaway on google. fb follower as susan wiener.